The Archivist's Pencil: Happy Birthday, Cardinal Ambrozic! 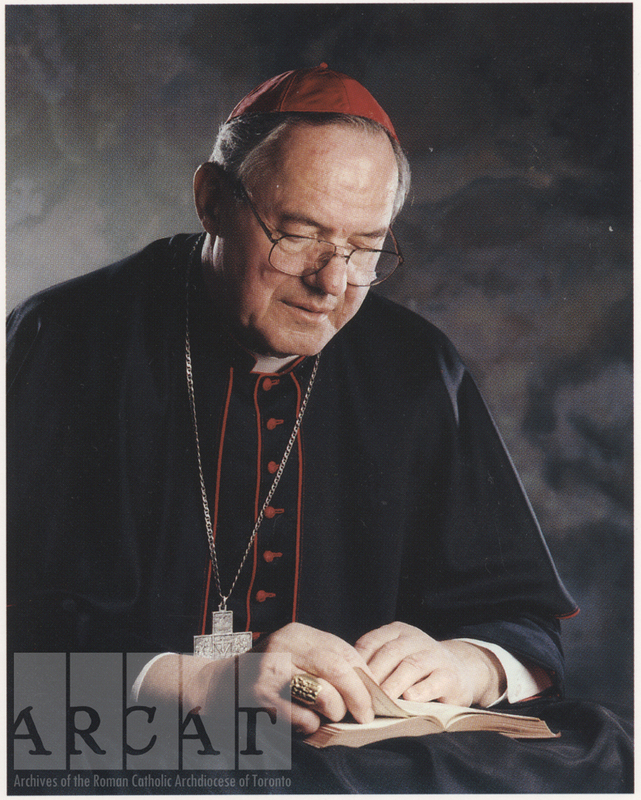 Tomorrow, January 27, would have been the 88th birthday of the late Cardinal Ambrozic. Born in Slovenia on January 27, 1930, His Eminence Aloysius Matthew Cardinal Ambrozic immigrated to Canada with his family at the age of 18. He was ordained a priest in 1955 at the age of 25, and was appointed an Auxiliary Bishop to Toronto 19 years later in 1976. He suceeded Cardinal Carter in 1990 to become the 11th Ordinary of Toronto. He was elevated to Cardinal in 1998 (an event we have written about in a previous blog post.) 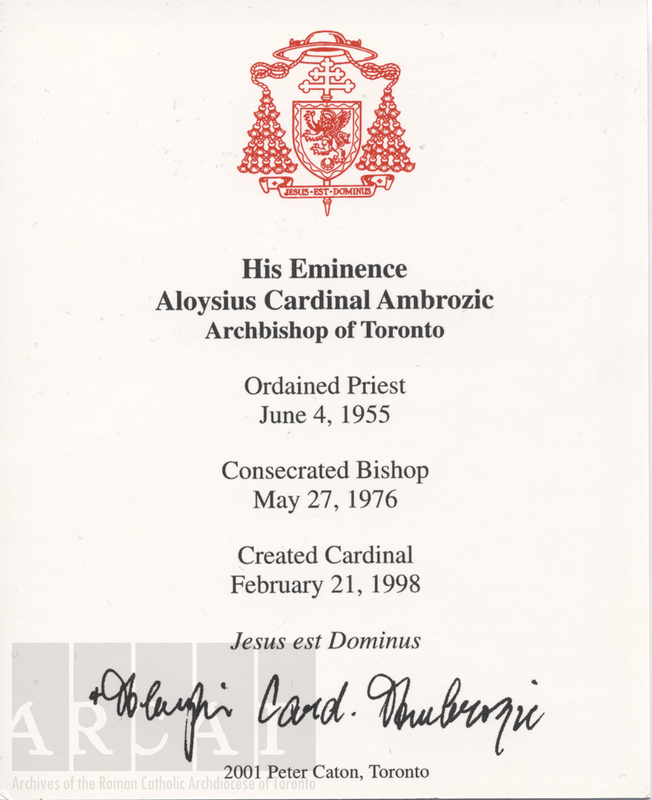 Cardinal Ambrozic retired as Archbishop of Toronto on December 16, 2006. 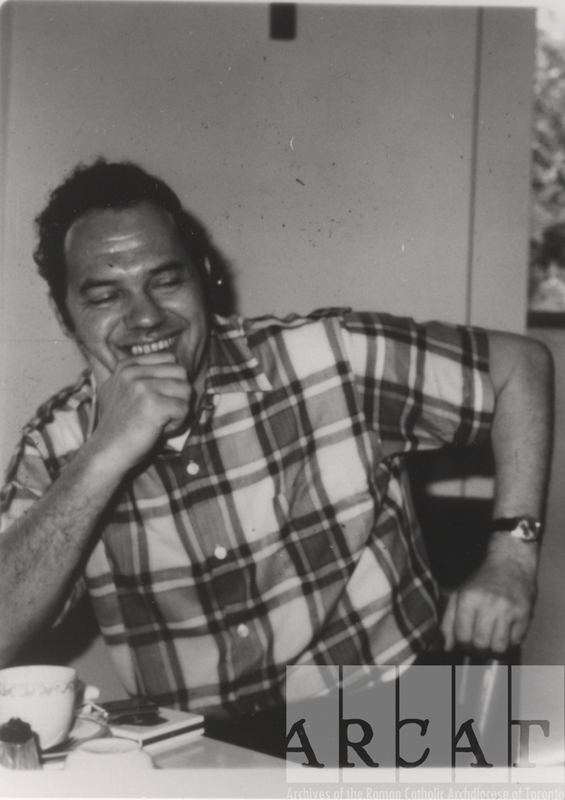 He passed away on August 26, 2011 and was interred in the Bishops' Mausoleum at Holy Cross Cemetery, Toronto. Cardinal Ambrozic Fonds. Front of mass card. Photograh by Peter Caton, 2001. Cardinal Ambrozic Fonds. Back of mass card. 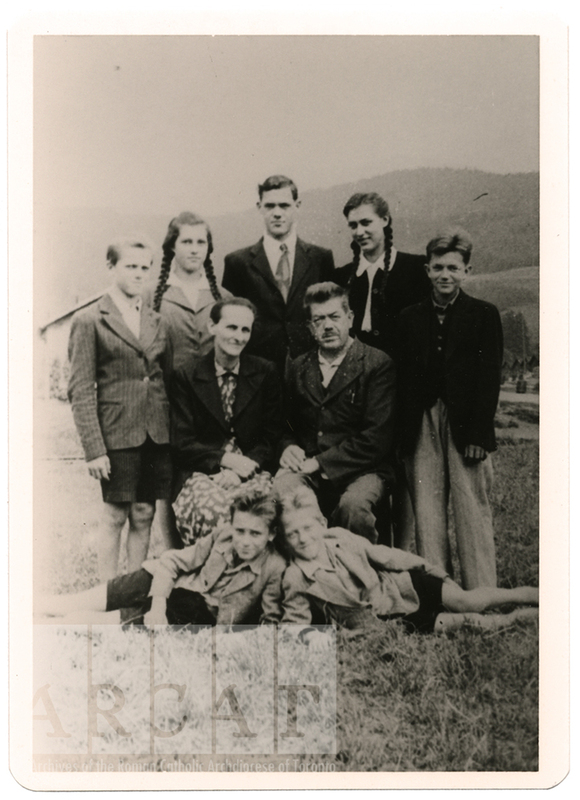 We've shared this photo before, but it is worth sharing again - Aloysius Cardinal Ambrozic (top centre), as a young man posing with his family, circa 1948. A candid photograph of Cardinal Ambrozic relaxing in lay attire sometime in the 1970s.